Home » Hair care » Cold Brew Hair- Why Try It and How to Take Care of It? Cold Brew Hair- Why Try It and How to Take Care of It? Well, if you’ve heard it through the grape vine that iced coffee is the new hair obsession out there, it’s all true. Cold brew hair is a thing as we speak. As the name it’s quite telling it all, the cold brew is a hair color that got its named as the shade is pretty much identical to the famous coffee. It seems that cold brew hair came to the everyone’s attention after Kimberly Bodondona (a hair colorist from New York City) let everyone know about her work on social media. It was the picture of a dimensional dark brunette color with some warm highlights to it. It was only the beginning of a trend though and many colorists started to show their takes on the newest hair color vibe. Why is cold brew hair so special? How to take care of cold brew hair color? Cold brew hair isn’t just a dark color and its subtle and natural display of highlights make it look quite similar to coffee with some milk or creamer surrounding it. However, this isn’t universal and it’s only the specialists that can clear up things for us. The best way to make an accurate description of the cold brew hair color is to imagine a deep brunette with some chocolate red-golden hues. Sure, a picture is a thousand words so it’s the best way to get what is this cold brew hair color all about. A picture of Penelope Cruz or Bella Hadid is going to help you, as they’re quite big fans of this new incredible color trend. Is it difficult to get it? If you’re thinking about a change, the cold brew may be just the right choice. The cinnamon tones in this special hair color go great in the fall which is right around the corner. In addition, taking care of this color isn’t very difficult, especially if you’re already a brunette. Actually, if you’re planning to maintain your roots darker and closer to your natural color, adding the baby lights for creating a subtle dimension isn’t going to be difficult at all. 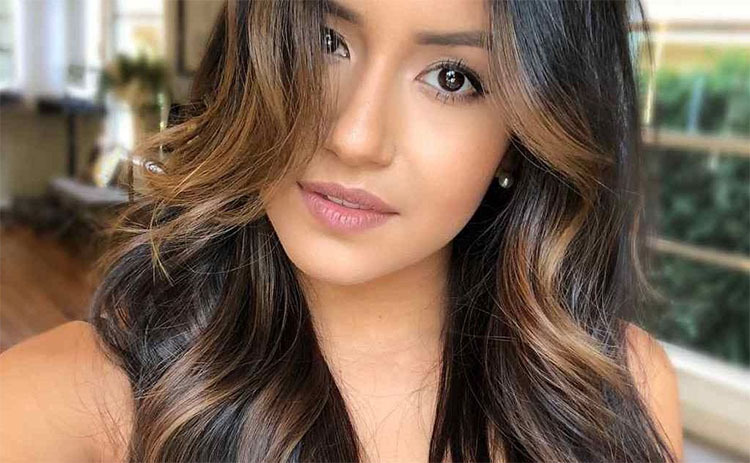 However, keep in mind that warm-hued hair colors do tend to fade a lot easier and faster, so you may get familiar with all the tips you need for keeping the hair color for a long time. As long as you’re dedicated and patient, keeping the color brew hair color all radiant and shiny shouldn’t put you in a pickle. Do you know that 70% of women in the US are actually coloring their hair? let’s take a look at several tips that are going to help you hold on to this beautiful and trendy hair color that cold brew is. You should let your hair colorist know that you want him/her to use professional hair color with effective conditioning abilities. Hair color made with natural oils is going to seal in moisture in your hair, giving it a healthy shine. Try to use an ammonia-free hair color too. Water may wash away the color so you should cut down the washing. You need to keep the natural oils that condition your cold brew colored hair so only wash it every 2 or three. Forget about washing it daily. Now that we’re on it, you should wait 2 days before shampooing again. If you can stretch it to 3 or 4 days, that’s even better. This way, you’re going to help the cold brew hair color settle. Let’s not forget that you should keep your hair dry when you’re showering, but don’t want to wash your hair too. Pull your hair up into a bun and protect it from getting it wet. As you can see, there are a lot of rules when it comes to shampooing the color-treated hair. 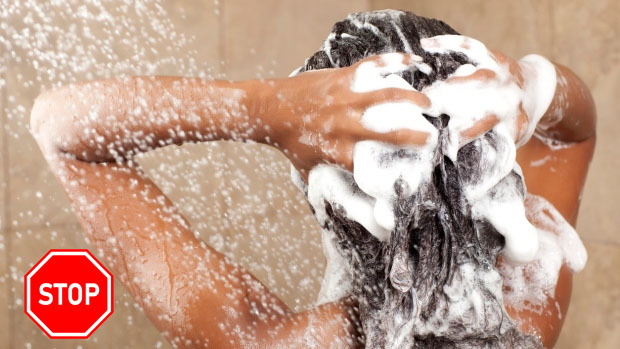 you should only use lukewarm or even cool water when washing your hair. a very hot water is going to strip the color as it’s going to open the surface of the hair strand. This also means that the dye molecules are going to be able to escape. Even if you’re going to do it only from time to time, it’s not a bad idea to use a moisturizing conditioner on your color-treated hair. shampoo takes the color from the hair a lot more than a conditioner does. Don’t forget to condition every time when you’re shampooing. Use a color-protecting conditioner as it’s going to maintain the cold brew hair color shinier for a longer time. Don’t worry if you have fine hair. simply conditions the tips that are typically the most damaged. You may refresh the looks of your hair in between washes with a spray dry shampoo at the roots. This way you’re going to soak up oil, without damaging the color of the hair strands. When it comes to colored hair, no matter the color, the lifespan of the color is linked to the quality of the hair products that you’re going to use for the TLC. 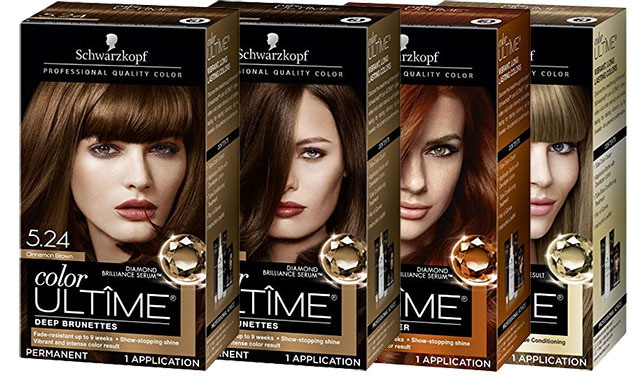 Get the salon-grade products that are specially formulated for the colored hair. you’re not only going to protect the color, but also add some volume, shine and luster to your hair. Make sure you’re always using color-protecting shampoo that extends the durability of the color and improves the health of your hair. get the sulfate-free shampoo as sulfates contain salt. On the side note, salt strips away moisture and moisture loss speeds up the fading of the color. As for the conditioner, it’s always best to use a conditioner specially made for the color-treated hair. the color-treated hair presents a different chemistry so you should start using a color-protecting conditioner too. Look for Tahitian monoi and other oils that reduce the risk for fading, creating a protective barrier on color-treated tresses. Don’t forget that the market also gives you options that reduce also premature fading in color-treated hair. Clarifying shampoos are going to strip the hair color as they’re high on detergent. Their strong formula is what makes them able to remove hairstyling products and buildup. You should use one before getting your hair colored. If you want to make the cold brew shine a bit more, you should use a deep-conditioning treatment once a week. Apply it on your damp hair, combing it very well from roots to tips. Wrap it in a soft towel and let the treatment work for 30 minutes or so. Once you rinse it, the hair is going to feel softer and shinier instantly. A leave-in conditioning treatment isn’t just going to protect your hair when heat styling it, but it’s also make the detangling a lot easier. Get a leave-in conditioner that is made for protecting your color-treated hair. this is essential, especially if you’re using heat styling tools on a regular basis. If you’re using irons and blow dryers a lot, it’s better that your hair is entirely dry before applying the heat. After the leave-in conditioner is in your hair, don’t forget to use a protective hair spray before heat styling the hair. Easy to make at home, the hot oil treatments are great ways to take better care of your cold brew hair. apply the treatment on your clean and towel-dried hair. cover it with a shower cap or simply use a plastic wrap. Use a blow dryer or enjoy a sun bath so that the heat improves the efficiency of the treatment. Once the oil is heated, let your hair cool down and rinse it with cool water in the end.